Product #20732 | SKU BL-1694A-1000 | 0.0 (no ratings yet) Thanks for your rating! 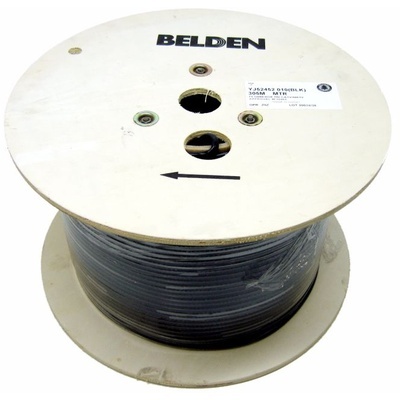 The black 1694A RG6 Low Loss Serial Digital Coaxial Cable from Belden is a 1000' (304.8 m) roll of 18 AWG, RG-6/U type coaxial cable. It features a bare copper conductor with gas injected foam HDPE insulation, a Duofoil tinned copper braid shield, and a PVC jacket.